More weird housing... in Australia...! I don't know about living out of this world but I do know about living on Earth. Well, only one part of it. Australia. About 3 years ago I read an article that said we are making too much out of this thing called too many people and no place to live. The author used Australia as the example of the perfect housing territory. According to the author every person on earth could live in Australia and there would still be room to house more. That's good news for anyone wishing to procreate or at least attempt the act, right? I wish I had made a copy of that article but alack and alas I didn't. So if the author's math was correct Australia should ready itself for a huuuugggeee increase in population should we all decide to relocate. 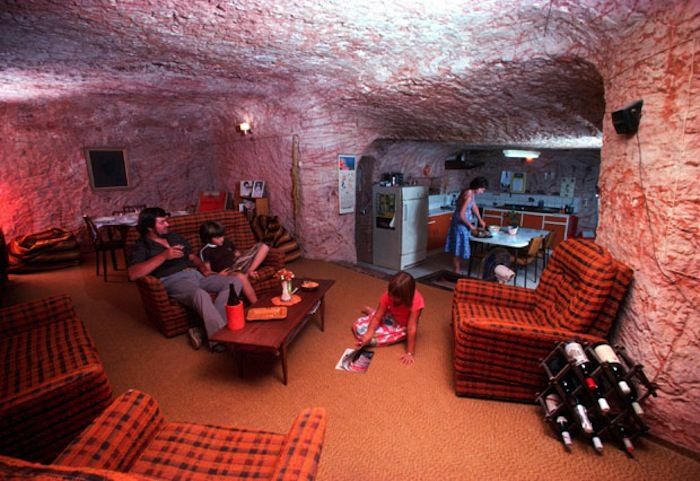 The town is called Coober Pedy. I haven't been there yet, but hope to visit there one day...! Last edited by Dien Rice : April 1, 2017 at 07:57 PM.